Cat nip can be an excellent, all natural way to get your lazy cats up and moving. They love the smell, taste and effects. A quality cat nip can really bring out the inner kitten even if your cat is older or typically prone to lying about all day. With the energy given to them by the cat nip, your furry friend will be able to get the exercise they need, playfully lounge on top of their best cat tower or run around chasing toys. This will open them up to being willing to run and play, which can help their health overall. It can also make them a lot more entertaining! What is it in nip that drives my cat so crazy? What if my cat doesn't react to the nip? Why should I give cat nip to my pet? How often should I give cat nip to my cat? Is cat nip bad for people? This cat nip is sure to drive your furry friends wild. It may be a little more expensive than other options, but it's completely natural. It will help to bring up the energy level in your cat so that they can have a romping good time! This package offers about a cup of cat nip, which can last a decent while if used sparingly. The nip is harvested fresh so that your pet can get the most possible value out of it. That also means it's going to have more of the essential oil found naturally in cat nip plants. It's also completely natural, so you won't have to worry about your kitty ingesting any unwanted chemicals. The 100% natural nature of it is fantastic. There are enough chemicals in our daily lives and the lives of our pets. While there are plenty that don't end up causing harm, it's still good to avoid them when they aren't necessary. The jar is easy to seal so you can maintain the freshness of the cat nip, and if you want to it can be used for other things once the nip has run out. Overall, it's a great way to help boost your cat's energy level so they can get more exercise. They'd also easily jump through and out of the best cat door without exerting too much energy and effort. Some customers do find that this nip isn't very powerful. Cats are going to be more likely to respond well to powerful, fresh nip. In some cases, they may find that their cat doesn't like it at all. It's really going to depend on each individual cat and batch received. Unfortunately, because it's ordered online there's no way to tell beforehand just how fresh the nip is. Not all cats react strongly to cat nip alone, and this nip includes an extra ingredient that may help to draw in their attention. It's also offered at a lower cost than other options, so that you and your cat get all of the benefit with no added expense. Unlike ordinary cat nip, this mixture also includes an ingredient called silver vine. This can help to increase the reaction from cats who aren't normally interested in cat nip. It's fresh, natural and potent so your cats can get the most out of the mixture. They're sure to be running around and playing in no time at all. It comes at a great price, and you'll have the option of getting 1oz, 2oz or 3.5oz containers depending on what your needs are. Cat nip is fun to have around, but not everyone wants to pay a lot for it because it does tend to be more of a luxury item. Luckily, with this nip you won't have to worry about paying too much. The silver vine can also be a good way to get your cat's attention if they aren't usually keen on cat nip. That way, you may still be able to get a typically lazy cat to run and play with the added energy cat nip can give. Just like any nip, not all cats are going to be into it. There's no guarantee that the silver vine will get their attention and some cats who normally like nip may be disinterested in this product. If your cats are already big fans of standard nip mixes then it would probably be better to stick to what you know they like. However, if your cat isn't a fan of pure cat nip then this is worth a shot, but don't expect it to be a sudden cure. This cat nip comes at a lower price for a decently-sized bag. You can also opt to purchase it in several different sizes and styles, including 2oz, 4oz, 8oz and 16oz in coarse cut, fine cut in 2oz, 4oz, or 8oz and coarse bulk in 3lbs or 5lbs. That way no matter how much cat nip you need, you'll be set to go! This cup is grown fresh in Canada and is made to last. It comes in a sealed, zip-lock bag so that you can keep it in a fresh state until your cat has enjoyed it all. It's designed to stimulate your cat and allow them to become more playful. You can combine it with toys or a scratching pad to draw your cat's attention to that object and make it a lot more interesting to them. Fresh, potent cat nip at a lower cost is the ideal for most cat owners. 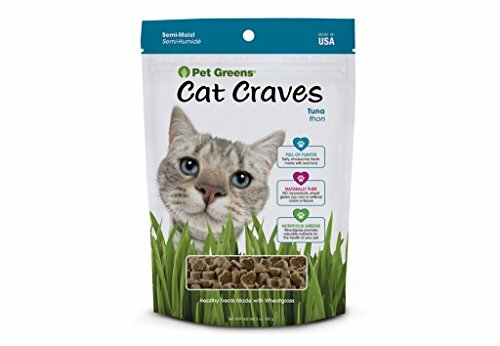 This brand also has a wide variety when it comes to package sizes that can be great for those who have a lot of cats or like to use the nip in their shelter or boarding facility. 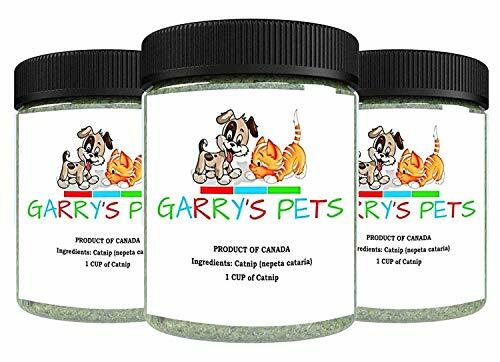 Most customers have found this brand of cat nip to be highly potent, drawing in the attention of their cats and getting great value out of every ounce. Natural products like these can sometimes have some bits mixed in that aren't as ideal for you or your cat, such as twigs, thorns and other debris. This can be especially true if you buy course or bulk options. While they might be cheaper, you may also end up having to dig through them to pull out anything you don't want your cat to potentially eat. Without becoming too expensive, this cat nip is able to offer your cat a longer lasting experience than others. It's fully natural, excluding the use of any artificial ingredients or chemicals. It's made to be fresh, potent and work well to give your cat an all-natural energy boost. Similar to the Cat Weed nip earlier listed, this is completely natural and comes in a jar that you can keep sealed to maintain the freshness. All you have to do is sprinkle a little bit of the cat nip and most cats will come running. You can get this nip in 1 cup, 3 cup and bulk sizes to ensure the needs of all your cats are met. 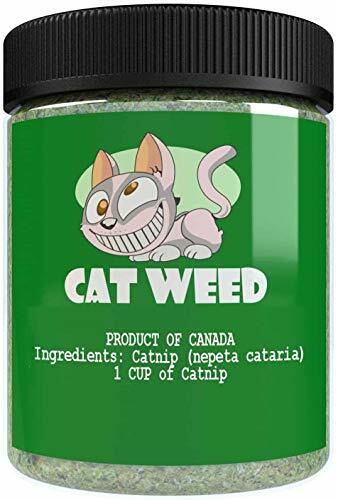 Even the laziest kitties will be running and playing after some of this nip! This cat nip is a fantastic way to get your feline friends up and moving, whether they are old, lazy or both. In most cases, just a little bit goes a long way and cats tend to love it. It comes at a great price and you can place the nip into a toy or on a scratching pad to get cats more excited about those objects. If you want to see what kind of entertainment might be in store or just want to help your kitty get a little more exercise, this is a great product to try. It can be difficult to tell what brands of cat nip your cat might like, so even if your cat doesn't seem to be too picky you might find they just aren't into this nip. That's an issue that just about any cat nip brand can have. In some cases, it might also be that it isn't as fresh as expected. If you decide to order this nip it might be worth checking to see if it has a strong smell. The stronger the smell, the more likely it is that your cats will be interested in it if they like nip. 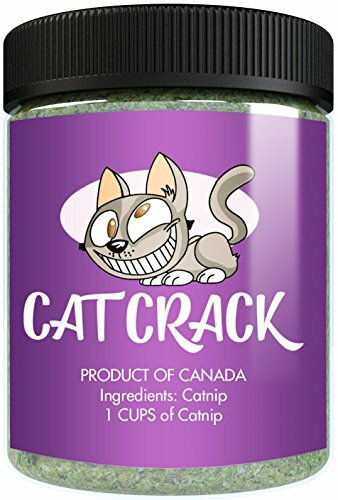 For less than a number of other cat nip options, you'll be able to get three containers of this natural cat nip that your cat will be likely to love. It's fresh and really works to bring out your feline friend's inner kitten. They'll surely be romping and playing in no time with this nip. This fresh and natural cat nip is well worth a try for the cost. You get plenty of nips for your cats to enjoy and you can trust that it isn't made with any chemicals. Cats often go crazy for fresh, high-quality cat nip and it can help them with getting the exercise they need. It comes in a container that helps the nip to stay fresh so that you can get the most for your money. You can easily find a good cat nip by looking through the reviews to see just how many cat owners describe their cat's reaction to the product. 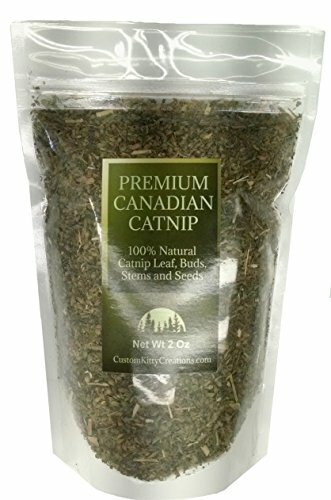 Many customers describe their cats absolutely loving this cat nip, to the point where they come running as soon as they hear the lid open. Because it's natural, you'll also be able to trust that there won't be any unwanted chemicals in the nip. Some customers have described not receiving the amount they expected, so make sure to do your research prior to purchasing. Each batch can also have a different level of freshness, so you can't expect that it will be extremely fresh and potent every time. In a few rare cases, customers also notice a mint smell, so keep an eye out for ingredients that may not be as good for cats. Two key things to check when you're shopping for cat nip are the smell and the potency. In many cases, this can mean you have to try a few different cat nip brands to get the ideal response. Reading the reviews of other customers can be very helpful when shopping online where you can't check the freshness otherwise. Quality, fresh cat nip will have a stronger smell to it. Depending on the strength and the container, you may even be able to smell it without opening the jar or bag. Otherwise, it may be worthwhile to look for other customer reviews so you know how fresh the nip generally is. It can still be possible to come across a batch that isn't as potent even when other customers are often raving about the freshness. Because of this, it may be a good idea to try it out for yourself to find out how your cats react to it. You'll know you've found a great cat nip when your cat comes running as soon as they hear the container being opened. You'll also see a notable change in their behavior. In most cases, cats can be described as hyper, playful and energetic. Because of this, getting toys that you can put some cat nip in is a great idea. It will encourage your cats to play and get plenty of exercise. On the other hand, if you open up a container and your cats don't seem interested it can mean one of two things. Either your cat isn't interested in that brand of nip, or they aren't interested in nip at all. Not all cats react to it in the same way. It may help to know that cat nip fits somewhere within the mint family, but the natural chemical that really gets to your cat is called nepetalactone. Essentially, this chemical creates a reaction within your cat's brain. It can cause them to feel euphoria and become more playful and rambunctious. You don't need to worry about negative effects, however, because cat nip is not addictive or harmful to the vast majority of cats. Another interesting aspect is that the effects can be different depending on whether your cat sniffs or eats the nip. Eating the nip can mellow cats out while sniffing it can stimulate them. Not all cats react to cat nip. A small percentage just won't have any interest in the smell or taste. Younger kittens and those that may be unfamiliar with cat nip might also not react. In some cases, the cat needs to become more familiar with the smell before they are willing to try it. In some cases, a nip mixture with another ingredient called silver vine can gain the attention of cats that aren't normally into cat nip. It may be worth trying out a mixture like this if you want to find a natural way to help your cat get more exercise. Cat nip can be used as a form of positive reinforcement for your cat. For example, if there is a scratching post, bed or toy that you want to encourage your cat to use then you can achieve that by sprinkling or spraying some cat nip onto it. You can also use cat nip to help ease anxiety in your pet. If you're going to be taking them to the vet or having guests over, or even introducing them to a new pet then it can be a good idea to give them some cat nip first to soothe them. It's a good idea not to overdo it with the cat nip. A smaller amount less often can help ensure that the cat is able to get decent effects from it. It will also help you to save money because your cat will require fewer nips for the desired results. If you tend to add cat nip to toys then just a little bit can do the trick for a while, otherwise, two or three times per week will work quite well without overloading your pet. It's also good to offer just a little sprinkle at a time. It's not bad for people at all, barring they aren't pregnant. You can even brew it into a tea to produce a calming feeling. This is excellent for people who like to use natural calming methods like chamomile. You can also use it to keep away pests like roaches, mosquitos and termites. This is going to be most effective if you have live plants for your cat around. 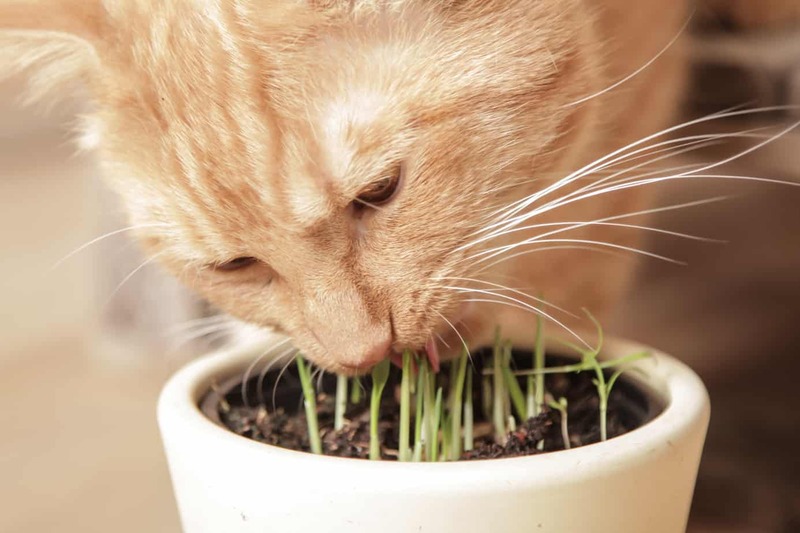 Keeping cat nip plants in your yard or in a window sill can help to steer away these unwanted guests in a natural way that is safe for both you and your cat. The top choice for this article is Garry's Pets Cat Nip. It comes at a great price, and you get three cups at a minimum. It's also known to drive cats wild due to its freshness. Many people also like that it's sold by a smaller company that cares a lot about customers. Second to that, Cat Weed and Cat Crack are both excellent potential options. They aren't expensive and come in a convenient jar that will keep the cat nip fresh. 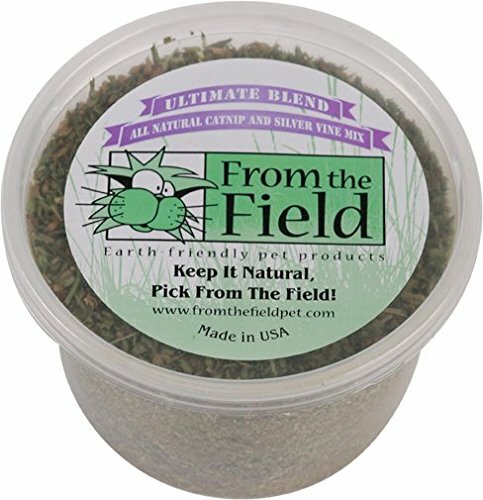 If you want to try something new, then the From The Field nip/silver vine combination may have something to offer to cats that aren't fond of pure cat nip brands. Regardless of which, Cat Nip is one of the many cat products that has significance and could certainly be one of the best cat gifts you can buy for your cats. Just remember there are some natural plants that can be dangerous for your cats. Always choose the safe cat nip for your cats. When it comes to the feline diet, there is a dizzying array of options. This is especially true when it comes to the best cat treats aisle. Selecting a treat isn’t as simple as picking up a bag from your local grocer’s shelf or a bag of the best cat food on your local pet store. Now there are a myriad of options ranging from natural, crunchy or soft, hairball formulas, tartar control, freeze-dried, joint health, and much more. So how do you choose the right cat treat for your feline? This answer is complex. You must take into account your cat’s age and weight, as well as any special health requirements. There are many treats available that help add additional nutrition and benefits that aren’t obtained from your cat’s regular food, supplementing your cat’s diet. In addition to affecting your cat’s overall health, treats can go a long way in strengthening your bond with your cat. Giving your cat a treat when you leave for work and when you come home at night can give your cat a comforting routine. However, the benefits of choosing the right cat treat for your cat goes beyond showing your cat affection throughout the day. Treats can help with training, positive behavioral reinforcement, supplementing your cat’s diet, assisting in health condition control, and aiding towards your cat’s overall health. With the amount of options available today, choosing the right cat treats can be a bit overwhelming. Start by looking at your cat food’s ingredients and reading this review of 5 popular cat treats on the market to help you make the right decision for you and your feline. What ingredients should I look for in a cat treat? Can cat treats help with health conditions? What cat treat ingredients should I steer clear of? Looking for a tasty snack to feed your furry friend in between meals? Each bite of Hartz Delectable Gourmet cat treats is produced with premium flavors and a delicious crunch that your cat will crave. Hartz Delectable Gourmet cat treats were created to give your cat a delicious reward with each and every bite. Each of these crunchy snacks provides your cat with 100% complete and balanced nutrition and is based in delicious flavors your felines will absolutely go crazy for. 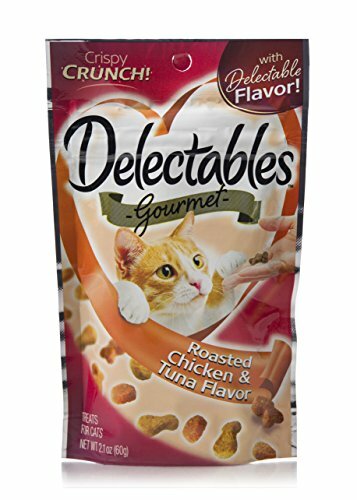 This crunchy cat treat comes in mouthwatering braised chicken and tuna flavors and your choice between 1, 2, 4, 6, 8, and 10 packs! Crunchy texture is satisfying for your cat to chew and the perfect way to reward your cat in between meals. Each Hartz Delectable Gourmet treat product is made entirely in the USA with promises to give your cat the taste that they are looking for. Your cat is sure to come running every time. These Hartz Delectable Gourmet cat treats come at an amazing value, less than $2 for a single pack! Cat seems to enjoy it as a tasty treat and come running every time. We also like that this product is made in the US and meets US regulations for balanced and complete nutrition. While this product does contain some vitamins and minerals essential to adult cat maintenance, the first few ingredients contain ground corn, wheat flour, and corn gluten – fillers that do not benefit your cat’s health. Furthermore, this product contains artificial colors, flavors, and preservatives, salt, and sodium – formulas that we don’t recommend in cat treats. Our pets are our family, so naturally you only want to feed them the best. This includes snack and treat time too. 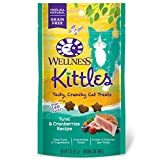 Wellness Kittles is your number one choice for an all-natural, grain-free crunchy treats that also benefits your cat’s health. 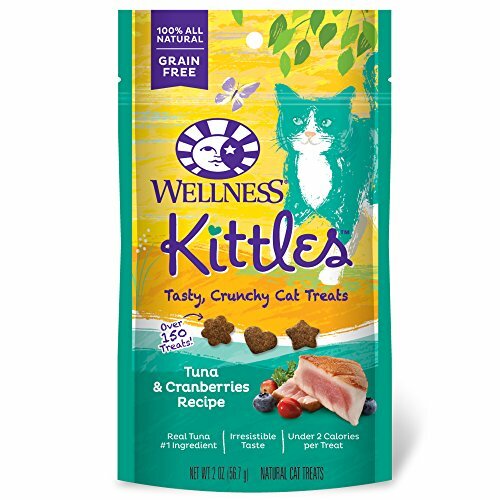 Wellness Kittles is a 100% natural and grain-free crunchy cat treat designed to give your cats more of what they need and less of what they don’t while benefiting their health and keep your cat’s teeth clean. These irresistibly tasty treats are 100% grain and wheat free and made entirely in the USA. Wellness Kittles are not only as tasty as they are healthy. They also have a crunchy texture that benefits your cat’s teeth. Every bite is packed with big taste and amazing flavors including whole-food ingredients like chicken, turkey, duck, tuna, whitefish and salmon paired with cranberries and blueberries. These treats are under 2-calories each and contain absolutely nothing artificial. We love that real meat is Wellness Kittle’s #1 ingredient, followed by premium veggies and fruits. All-natural ingredients contain no artificial flavors, colors, or preservatives and are produced right here in the USA. Wellness backs all of their products proudly by the Wellness Guarantee to ensure that your feline is receiving nothing but the best. While consumers inherently agree that these cat treat are jammed packed with healthy cat ingredients, some users found these treat sizes to be large in size. You adore your cat, so naturally you want to share treat time with her. Choose Purine Dentalife for a flavor she loves and the wellness she deserves. Purina Dentalife is made with delicious poultry and seafood flavors that cats can’t get enough of. This treat doesn’t just taste good, Dentalife adds a crunchy texture that cats love while cleaning their teeth, freshening her breath and helping to keep her gums healthy. Purina Dentalife’s unique porous design is scientifically proven to surround your cat’s teeth for the ultimate clean and control over tartar buildup. These treats work well in addition to your cat’s daily healthy diet. A single treat a day helps to keep your cat’s mouth and teeth clean, creating a healthy happy feline friend without overindulging her. 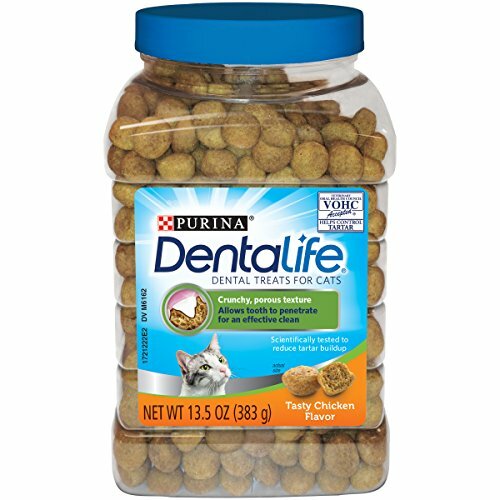 Purina Dentalife was designed specifically towards feline dental health, and it does just that. We like that this product comes in two flavors that cats seem to love. Plus Purina Dentalife treats don’t have any artificial colors or flavors and seem to be less fatty than other treats. In order to properly surround your kitty’s teeth, these dental treats are rather large. This however, poses some issues for smaller/younger cats who may have trouble handling larger treats. 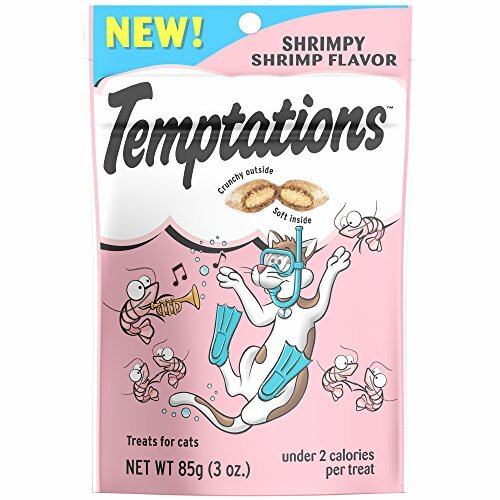 “TEMPTATIONS” is a popular cat treat available on the market with claims to being America’s #1 favorite (based on sales data). With a variety of flavor and treat options to treat certain conditions, Temptations may very well be your best bet. “TEMPTATIONS” is a low-calorie nutritionally complete and balanced cat treat for your adult cat. These irresistible treats come in 9 unique formulas including turkey, tuna, shrimp, seafood, salmon, dairy, chicken, catnip, and beef. A unique pocket shape gives you cat’s the crunchiness they enjoy on the outside, with a soft and creamy inside they simply can’t get enough of. Whether you need assistance with hairball control, dental cleaning, or just a treat for you and your furry friend to bond over, Temptations is one of the best and most popular options available for you and your kitty. Temptations cat treats are great for use anytime. We like that they come in so many flavors, with a unique crunchy outside and soft inside design your cats are sure to love. The design and formula are also created to help with dental and hairball control, two common problems among cats. The very first ingredient on this packaging is chicken by-products, which we know isn’t beneficial for cats. Furthermore, this product contains lots of grains and unhealthy carbohydrates along with artificial flavoring, coloring, and preservatives. Are you looking for a top-rated all-natural treat supplement to feed your cat? Look no further than Bellrock Growers Pet Greens as a treat alternative. Keep reading to learn more! Bellrock Growers Pet Greens is committed to providing your pet a completely green alternative to cat treats. Cereal grasses are known to contain tons of chlorophyll and are packed with minerals, antioxidant vitamins, and other nutrients that promote optimal health. This product is completely free of harmful soy, corn, and wheat gluten ingredients, containing absolutely no artificial colors and flavors. Bellrock Growers Pet Greens promises your cat a superior source of green nutrition, along with fiber for improved digestion system. Bellrock Growers Pet Greens semi-moist mouthwatering cat treat contains real meat as the very first ingredient, plus nourishing Omega-3 fatty acids that support coat and skin health. These bite-sized morsels contain nutrient-rich wheatgrass for essential fiber, antioxidants, minerals, and vitamins. Available in 4 delicious recipes Bellrock Growers Pet Greens provides your pet with great tastes that they will love and satisfies their natural instinct to eat chemically-treated outdoor grass and harmful houseplants. Bellrock Growers Pet Greens is the ideal choice for owners who want to feed their cat the very best. This product not only contains all of the ingredients that you would look for in a cat treat, it also has a ton of extra vitamins and minerals to support a healthy cat. This product is ideal for cats that have sensitive stomachs. This product has a very specific smell that some cats aren’t too fond of. Cat owners with picky eaters may have trouble getting their cat to eat these healthy treats. As a responsible cat parent, you lavish your feline with attention, love, and of course – treats! Attention and love are calorie-free, while treats are not. This means that the diet that you choose to feed your cat including treats can easily make your cat overweight. So before you pick up a treat bag, check the label and choose healthy options. Treats can be invaluable to reinforcing learned behavior and rewarding positive behavior during training. They are also a fun and inexpensive way to show your cat affection. However, between 40% and 50% of cats suffer from obesity, therefore cat treats should be rationed responsibly. No more than 10% of your cat’s daily calorie intake should derive from cat treats, while the rest should come from healthy pet food. If you plan on using your treats during positive reinforcement training, you’ll want to choose a smaller, low calorie choice. Look for treats that are consumed quickly and easily to provide minimal distraction from the training task at hand. There’s nothing wrong with giving your cat a lot of treats, if that’s what you like to do. However, if you plan are treating your cat often, it’s a good idea to consider lower-calorie and low-fat options to ensure that your feline maintains a healthy weight. In general, veterinarians recommend keeping treats to only 5%-10% of your cat’s diet, depending on their weight and health. If your older cat has a dental condition that makes eating crunchy foods difficult, you’ll want to search for a softer option. The same goes for allergies and other medical conditions. Before you make a treat purchase, it’s a good idea to consult with your veterinarian about the best treat for your cat’s age and condition. Last but not least, you’ll want to take your cat’s preferences into account. There are a plethora of treats available in-store and online today, ranging in styles, flavors, and forms to fit your cat’s unique tastes and personality. When trying out a new treat, purchase a small bag and see if your cat enjoys it before investing in something larger. Just like your cat’s everyday food, you’ll want to consider the ingredients provided in your cat treats. To ensure healthy maintenance look for labels that suggest “complete and balanced nutrition”. These types of treats will have the right types of vitamins and nutrients needed to keep your feline healthy and balanced. However, don’t be fooled into thinking that treats with this label are the healthiest for your pet only that they meet the minimum regulation for healthy and balanced pet food. The fewer and simpler the ingredients are, the better. Look for treats that contain raw meats as their number one ingredients with little to salt or sodium, as this can cause trouble with your cat. There are a plethora of treats that claim to be beneficial for your cat’s teeth by preventing gingivitis and reducing tartar. However, it’s always a good idea to reach out to your veterinarian for the best dental care treats. There are many great but affordable cat foods that are designed to manage health conditions for you cat. If you cat happens to be on a therapeutic food diet or special food, their treats should follow the same protocol as their wet or dry food. Also, bear in mind to keep and maintain clean water for your cats to drink or get the best cat water fountain for them. When you set out shop for cat treats, take a pass on products that are full of artificial preservatives, fillers, flavors, and coloring. Always avoid treats that contain grains, meat by-products, and sugars that are high in carbohydrates. These treats can alter your cat’s blood sugar balance contributing to obesity and heart problems. Additionally, treats that are produced from plant protein rather than animal protein work against the metabolic design of the carnivorous feline. If the ingredients contain a long list of chemical names you can’t identify, it’s best to put it back on the shelf in favor of something more natural. Although cat treats are well…treats, they are still an important part of your cats diet apart from relaxing in comfortable, best cat house. 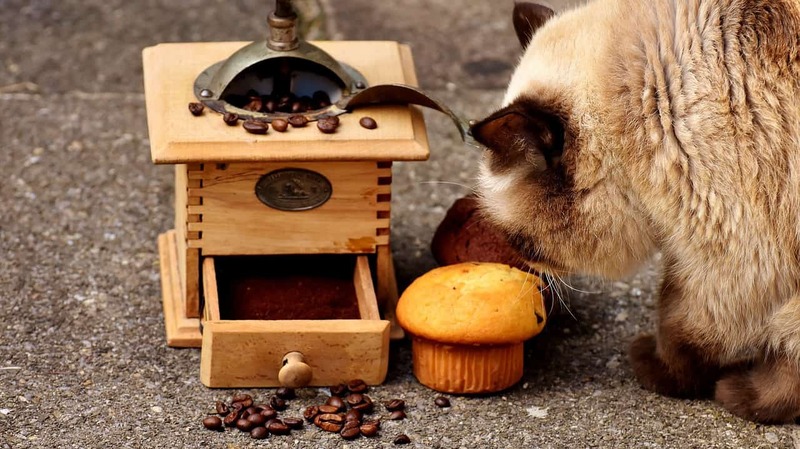 When choosing the best cat treat for your pet, you have to take into consideration ingredients, calories, and health benefits just like you would their daily cat food. Similarly to cat food, you want to stay away from treats that contain harmful fillers, sodium, and meat by-products instead of the real deal. Last but not least, you have to consider your cat’s preferences and what kind of treats they enjoy. Based on these considerations and the above review our clear winner is Bellrock Growers Pet Greens. This all-natural “green” cat treat is jam-packed with healthful ingredients that are beneficial for your cat. Furthermore, their very first ingredient is real meat, and they don’t have any artificial flavors, coloring, or preservatives. Bellrock Growers Pet Greens is making some cool scientifically backed advancement in pet care that your cat is sure to look and feel great from. The only downside to this product is that some cats didn’t enjoy the smell or taste. We’re guessing that this may be a little too “green” for some cats and may take some time to get used to. If you need a delicious alternative that still has many of the same benefits, we recommend Wellness Kittles as a second option. Wellness Kittles also has real meat at the very top of their ingredients list, no artificial flavoring or colors, no grains, and no by-products. If your cat is a picky eater, they are sure to find something that they love with 6 different all-natural meat and berry flavors, along with premium and healthful ingredients.